Moving Assistants - Because moving is more than just a change of address. Order a Checkbook and get much more than just checks! 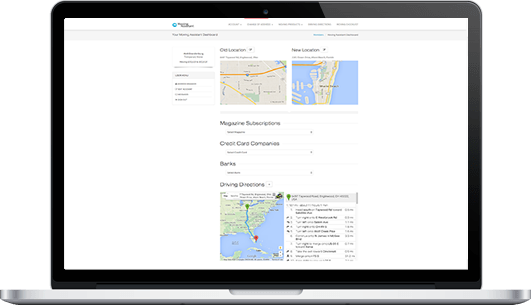 Take advantage of our Easy Move Dashboard to organize and manage your move, we do much more than just checks! When moving you need to notify multiple government agencies, banks, magazine subscriptions, credit card companies and update the address on your checks and more. 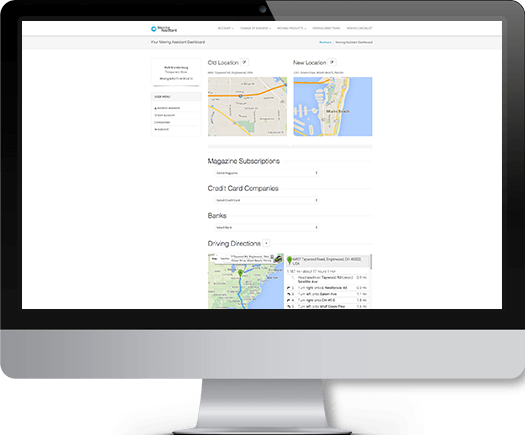 We've designed an Easy Move Dashboard to help manage your move and assist you with your Change of Addresses all in one place! All for only $30! Have a question? Just Contact Us! We're always here to help! Much more than just a Checkbook with your new address! We've got everything you need during your move! Order a Checkbook, get a Moving Assistant! 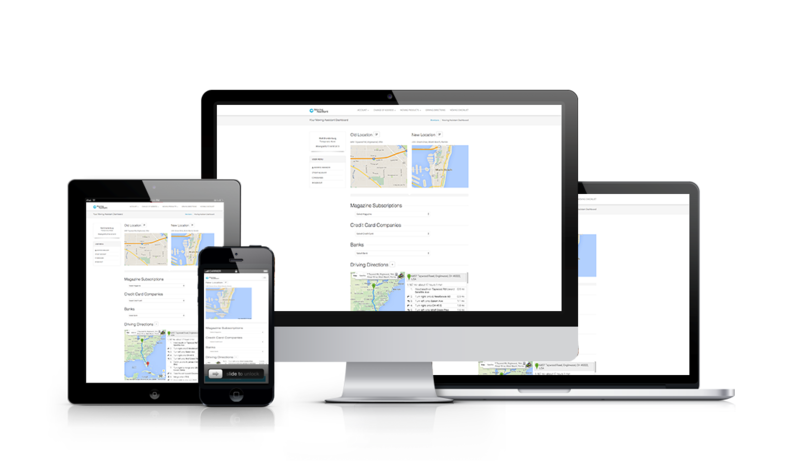 Order a checkbook with your new address and get unlimited Moving Assistant Dashboard access to help you move with ease! Let us help you each step of the way, enter your information below to get started. New Checkbook and Moving Assistant Dashboard for only $30.00! A flat one-time fee of only $30.00 gets you access to everything for the entire length of your move! Receive a Checkbook with 50 high quality checks with your new address, discounted reorders and custom checks also available! US Postal address verification system and Change of Address assistant help to make your move quick and easy. We're here to help you find the easiest way to update your drivers license and vehicle registration. Automated address verification and I.R.S. Change of Address assistance from start to finish. 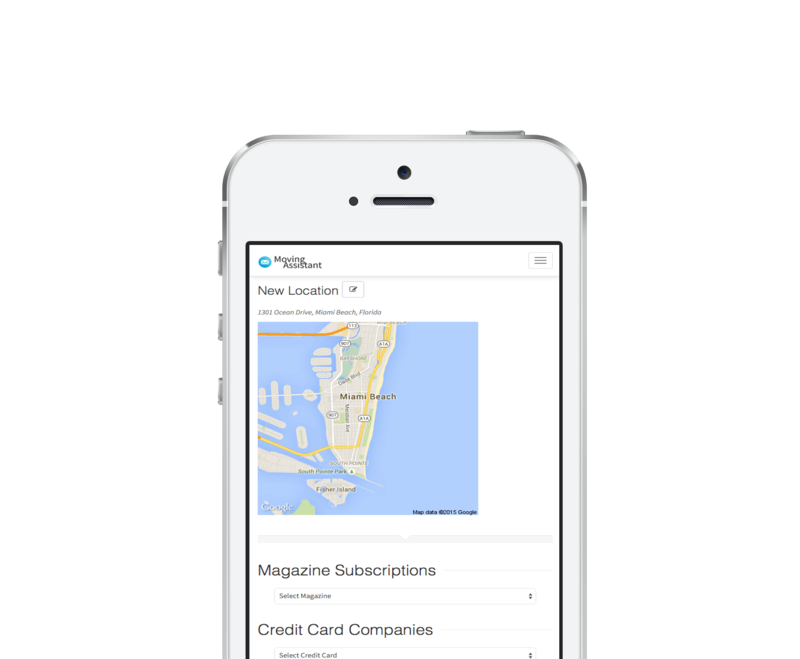 Our exclusive magazine subscription management system makes updating your subscriptions just a few clicks away! 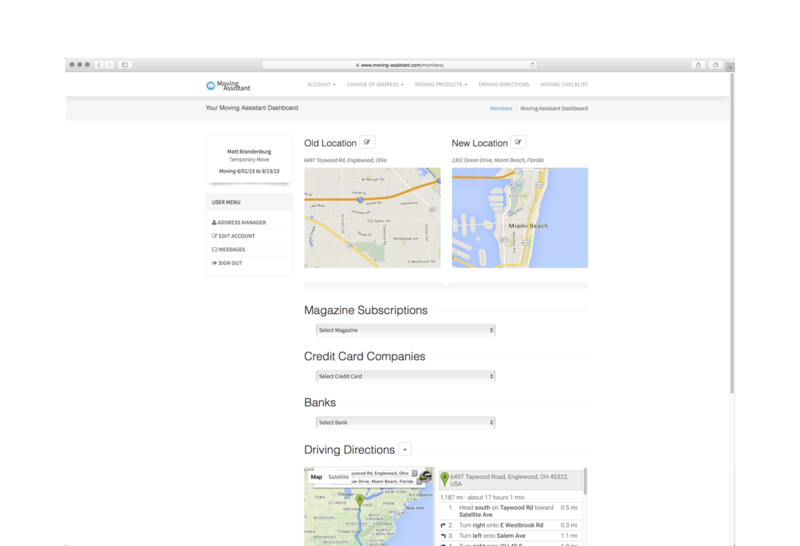 Our exclusive Credit Card and Bank Change of Address listing service makes notifying your Credit Card and Banks easy! Just pay the shipping fee and we'll do the rest, all addresses are validated by our system just to make sure you won't have any issues. Let our moving assistants find the best moving companies and gather competing price quotes for you! Don't miss a step during your move, we help guide you from start to finish. Temporary and Permanent moves require different steps, we make it easy! We've put everything you need in one place to make sure you don't miss a beat during your move! 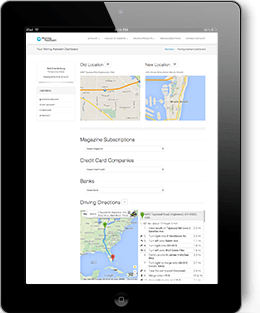 Our exclusive Moving Assistant Dashboard helps you keep track of everything you need to do during your move and we make it all as quick and easy as possible! Quick checkbook delivery and great customer service. Thanks for answering all my questions. I didn’t realize i need to contact so many different agencies when moving. Thanks for making the process simple and informative. Moving Assistant connected me with a reliable moving company and I even received a discounted rate. I drove to my local post office and they were out of address change forms. I was told to go online or drive to the office 25 minutes away. Thats when I found moving-assistant.com. They were prompt and helpful making this a way better experience. The packet I received with my new checkbook had lots of valuable information I wouldn’t have figure out on my own. Thanks for the help! Contact us anytime, we're here to help!